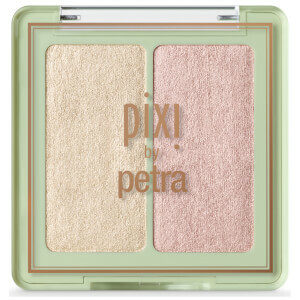 Add a touch of light to your makeup with PIXI Glow-y Gossamer Duo in 'Delicate Dew', a highlighter duo with natural glow. 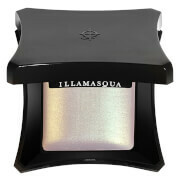 The delicate, super-silky powders deliver natural-looking brightness to the complexion, creating lit-from-within luminosity. 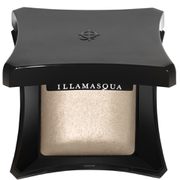 With a creamy, skin-like texture, the highlighters blend effortlessly onto skin, brightening and enhancing high points on the face, such as cheekbones and brow bones. 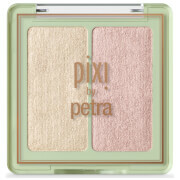 Perfectly pigmented, the results will look natural in any light. Mica, Magnesium Stearate, Ethylhexyl Palmitate, Nylon-12, Octyldodecanol, Phenoxyethanol, Caprylyl Glycol, Tocopheryl Acetate (Vitamin E), Polymethylsilsesquioxane, Diamond Powder, Synthetic Fluorphlogopite, Tin Oxide, Titanium dioxide (CI 77891), Iron oxides (CI 77491, CI 77492, CI 77499). Made in China.